I bet you’re thinking to yourself, ‘What the heck is Sciusceddu?‘. Well I thought the same thing when I first saw this recipe in that vintage Italian cookbook I spoke about when I made those Parmesan Baked Mushrooms last year. In fact, I still don’t know how to properly pronounce the name, but when I looked at the ingredients, it’s basically like Chinese Egg Drop Soup or Stracciatella alla Romano Soup; which is a Roman Style Egg Drop Soup; however, with a few differences. 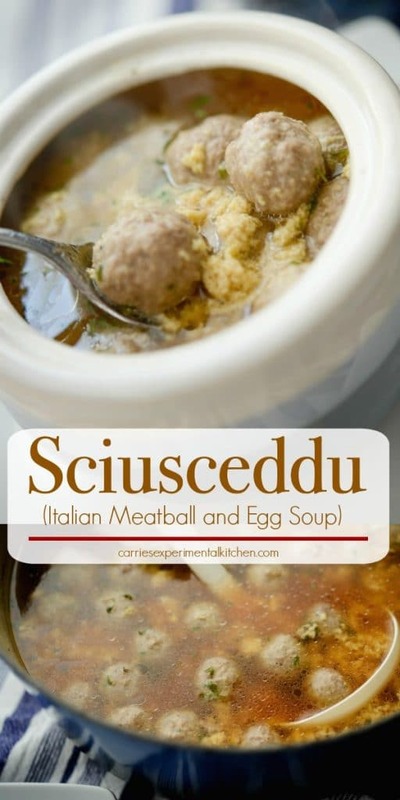 In Sciusceddu, the eggs are combined with Ricotta and Pecorino Romano cheeses before being added to the soup. 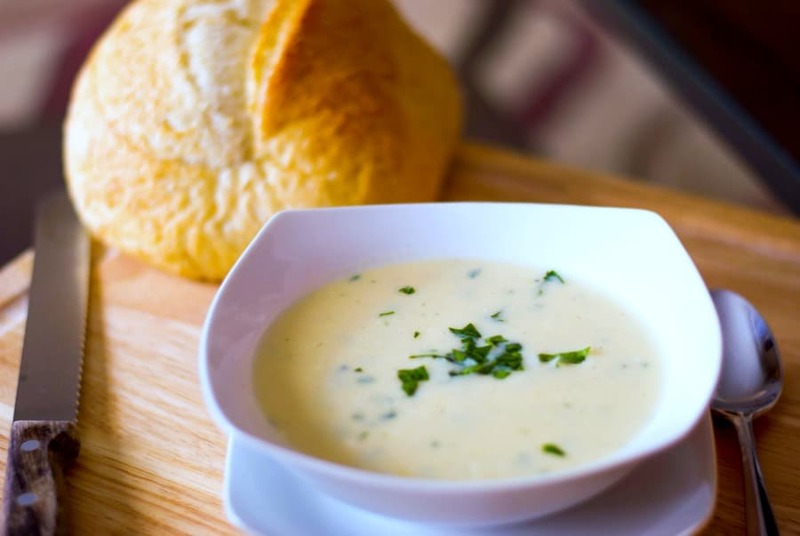 Since Easter is almost here and some of you might be looking for new recipes to try during your holiday celebrations, I decided to try making this soup myself. 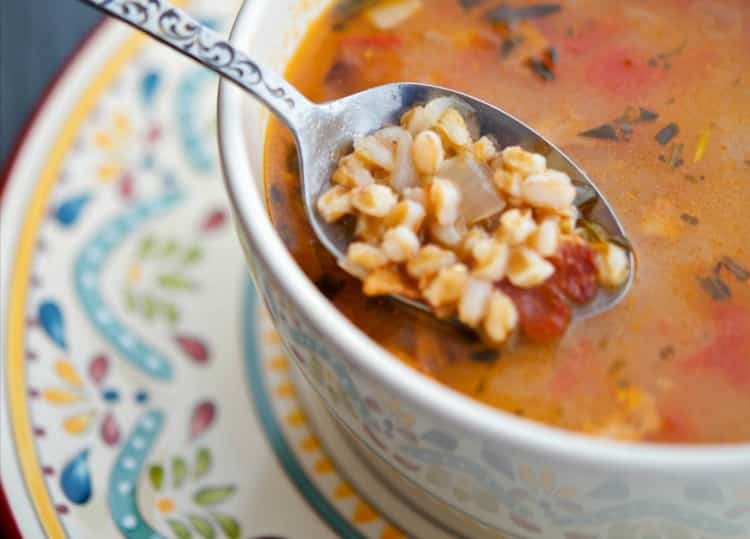 Oddly enough, my grandfather’s family originated from Sicily, the southern part of Italy; however, I don’t ever remember trying this soup before, but it was certainly tasty. For this recipe you’ll need beef broth, lean ground beef, eggs, parsley, Pecorino Romano and Ricotta cheeses. First, add the broth to a large pot or Dutch oven and bring to a boil. While the broth is coming to temperature, make the meatballs by combining the ground beef, one egg, parsley and Pecorino Romano cheese. 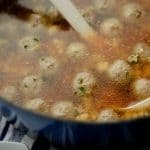 Make small meatballs out of the mixture; approximately 1″ in diameter (about 5 1/2-6 dozen in total); then drop them into the boiling broth and cook for 10 minutes. 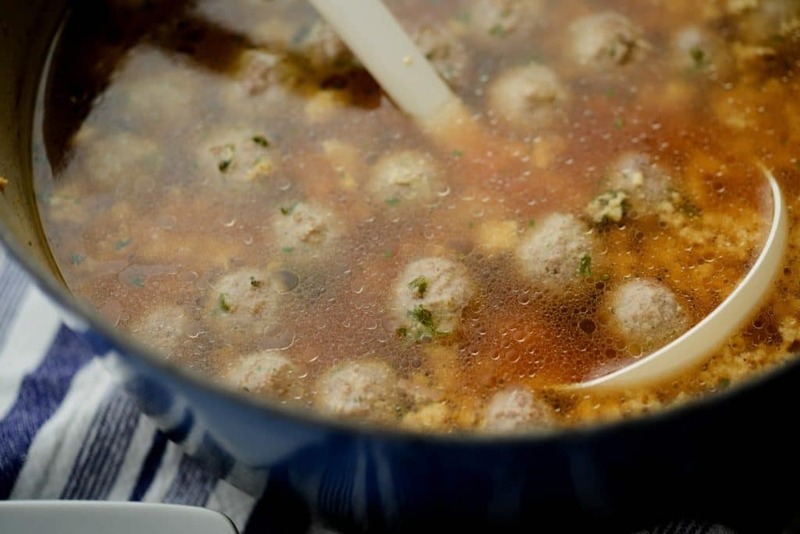 I prefer the meatballs to be bite sized so it’s easier to eat the soup, but you can make them bigger; however, you’ll just have to break off pieces before taking a bite. While the meatballs are cooking, combine the remaining eggs, Ricotta and remainder of the grated cheese; then whisk until smooth. Slowly add the egg mixture to the broth while whisking and cook for another 4-5 minutes. 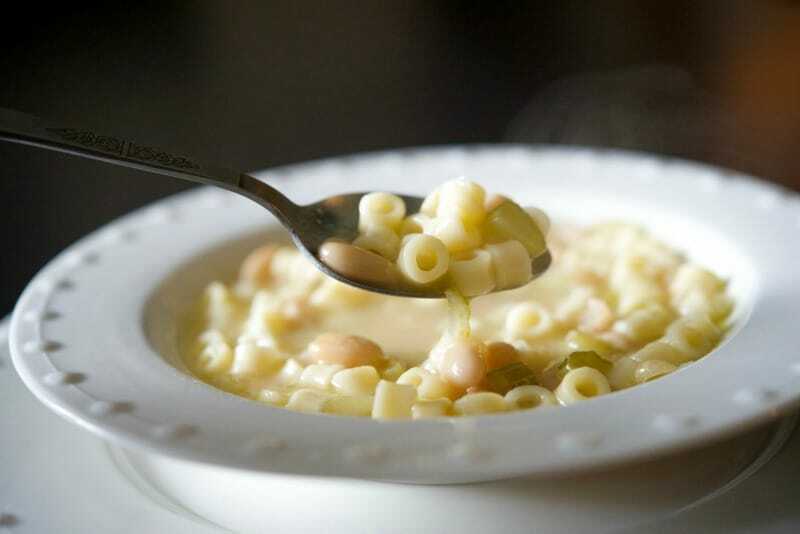 Serve the Sciusceddu hot with crusty Italian bread or as a starter to your holiday meal. ~Enjoy! Add the broth to a large pot or Dutch oven and bring to a boil. 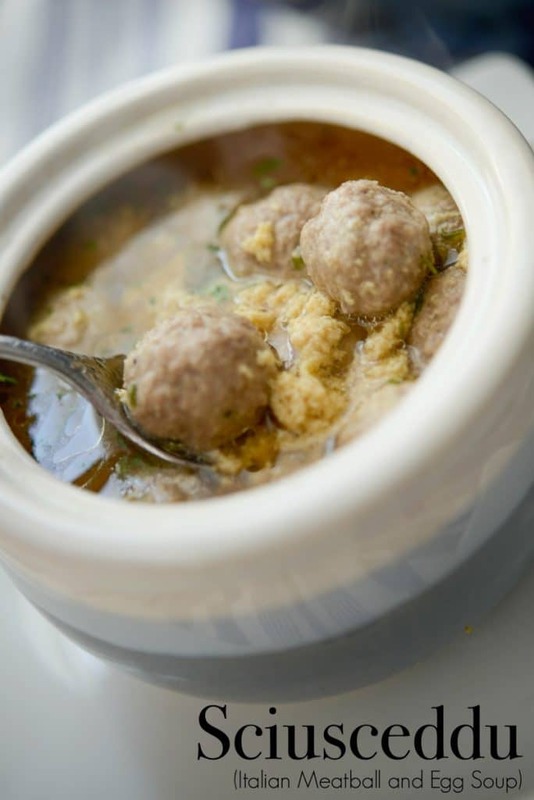 While the broth is coming to temperature, make the meatballs by combining the ground beef, one egg, parsley and 1/2 cup of the Pecorino Romano cheese. 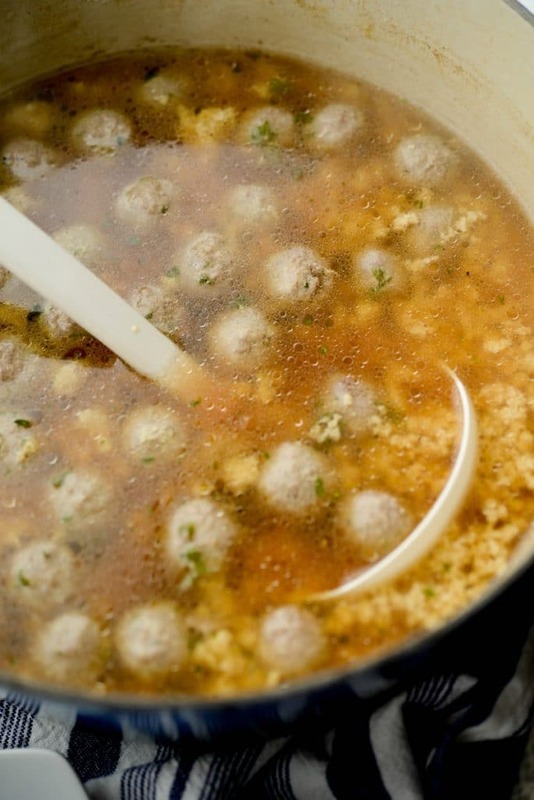 Make small meatballs out of the mixture (approximately 1" in diameter; about 5 1/2-6 dozen in total); then drop them into the boiling broth and cook for 10 minutes. While the meatballs are cooking, combine the remaining eggs, Ricotta and remainder of the grated cheese; then whisk until smooth. Slowly add the egg mixture to the broth while whisking and cook for another 4-5 minutes. 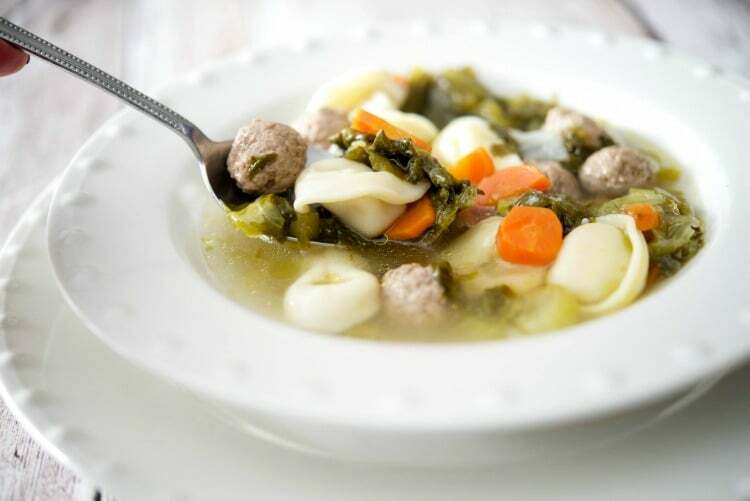 Visit the Easter or Soup category under the Recipe Index for more ideas! How much ricotta do I need. It isnt listed in the ingredient list. 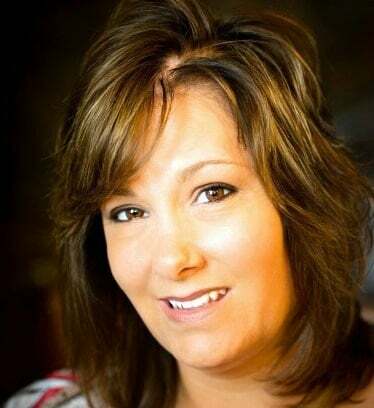 I apologize! It’s 1/2 cup and I’ve updated the recipe card.